KARIYA (Japan) ― DENSO Corporation today announced that it will exhibit at CES 2018 at the Las Vegas Convention and World Trade Center in Las Vegas, Nevada from Tuesday, January 9 to Friday, January 12, 2018. 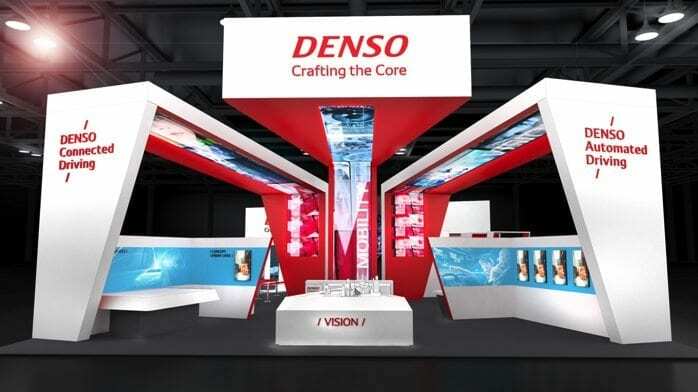 At the exhibition, DENSO will present its future of mobility and connected and automated driving technologies. DENSO focuses on developing technologies for safer, more comfortable and convenient mobility. Simulators at DENSO’s CES booth will show how core connected and automated drive technologies, and the concept of shared mobility deliver on this promise. DENSO’s 5G-based high-speed and large-capacity communications systems are essential to achieve connected cars. DENSO’s quantum computing algorithms also deliver crucial connected services, like solutions that alleviate traffic congestion. DENSO’s latest HMI technologies, such as organic EL display, manage and display information related to driving safety and cockpit environment to the driver using the safest, most appropriate device. DENSO’s AI-powered technology adjusts the vehicle environment based on changing road conditions. DENSO will also exhibit automated driving technology that recognizes obstacles and movement of other vehicles to automatically determine the optimal route.